The House of Representatives has mandated its Committee on Finance and Public Accounts to investigate tax waivers that are currently being granted to multi-national companies in Nigeria. The resolution made by the House on Tuesday was taken with a view to reducing tax waivers and achieving economic objectives. Debating the motion, lawmakers agreed that the country could not afford such unproductive incentives. It is not the first time members of the House of Representatives are deliberating on the issue of tax incentives given to companies at home and abroad. In the motion moved by Honourable Kehinde Odenenye, the House once again considered the gains the country had made in its attempt to woo foreign investment. The sponsor of the motion said there was little evidence that these tax incentives had increased investments. The Majority Leader, Honourable Femi Gbajabiamila, suggested that the resolution to investigate the tax waivers should not be limited to foreign investors alone. 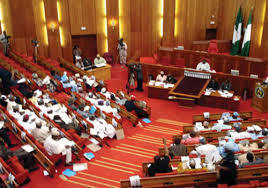 Some other lawmakers that made contributions – Mukhtar Ahmed, Herman Hembe and Nnenne Elendu-Ukeje – agreed that the policy on tax incentives had made little or no positive impact on the nation’s economy. The house then directed its Committee on Finance and Public Accounts to investigate the matter, with the possibility of abolishing unproductive incentives. The committee’s report is expected back in four weeks.